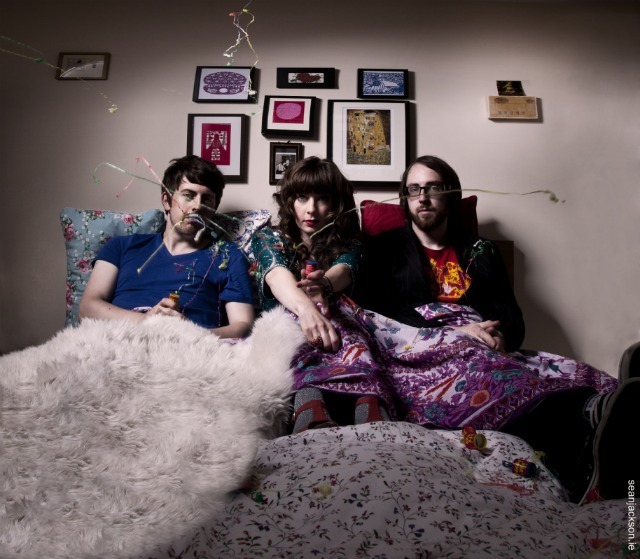 Things To Do in Dublin: Catch Sleep Thieves At The Workmans, Tomorrow Night! Not in Dublin? You could just skip straight to this post. I love a good bit of alt electro-pop, and Irish band Sleep Thieves do just that. Building on their 2011 debut album, Heart Waves, the trio release Islands, a 5 track EP, this month. I’m no music critic but Nialler9 is, so check out what he made of it. Islands will launch at a special gig in Dublin this Thursday, 31st May, at the Workman’s Club and admission is free. It’s a great chance to see Sleep Thieves do what they do best - The Ticket called them "A force to be reckoned with live" – and catch Kid Karate (yes, from Fade Street, I wonder have they lived that down?!) and Garret Moore at the same time. You can listen to Oceans, one of the tracks from the new EP, here. The show kicks off at 8.30pm. See you there? Will check it out! Have fun! Will keep your tips in mind when I visit Dublin! BTW, loved your haul from the last post! Those sandals are so pretty! Hope you are having a wonderful day!